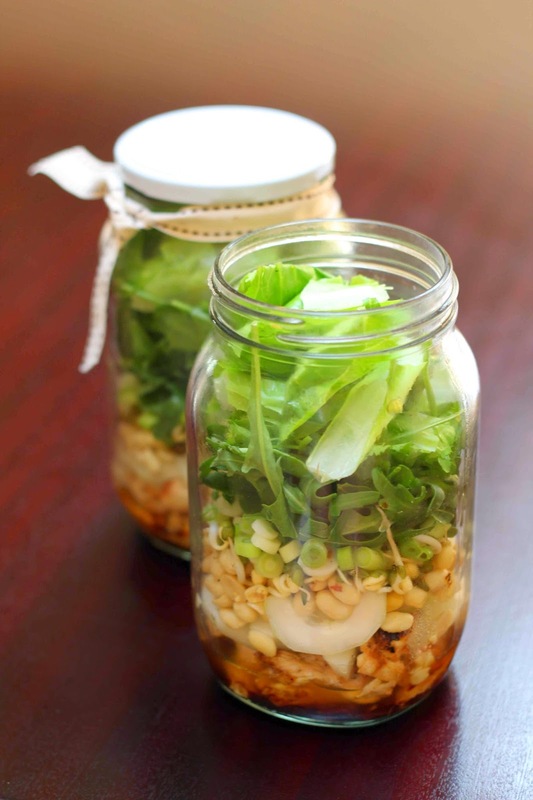 I looooove me a salad jar - it's such a simple idea and yet it's just so clever - the reason your salads go soggy a few hours after making them as that you've been layering them in the wrong order - lettuce and leaves need to go on the top and the hardier ingredients, and those they seep any liquid over time, need to go on the bottom. Method: Take each jar and layer in the ingredients in the order above. 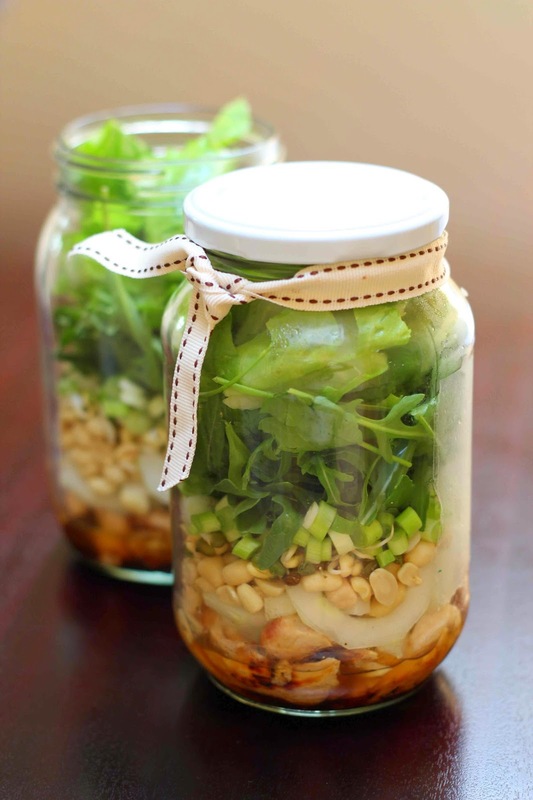 Seal the jars and store in the fridge for up to 3 days. To serve: either shake the jar to mix the ingredients and eat the salad straight from the jar or tip the ingredients onto a plate. 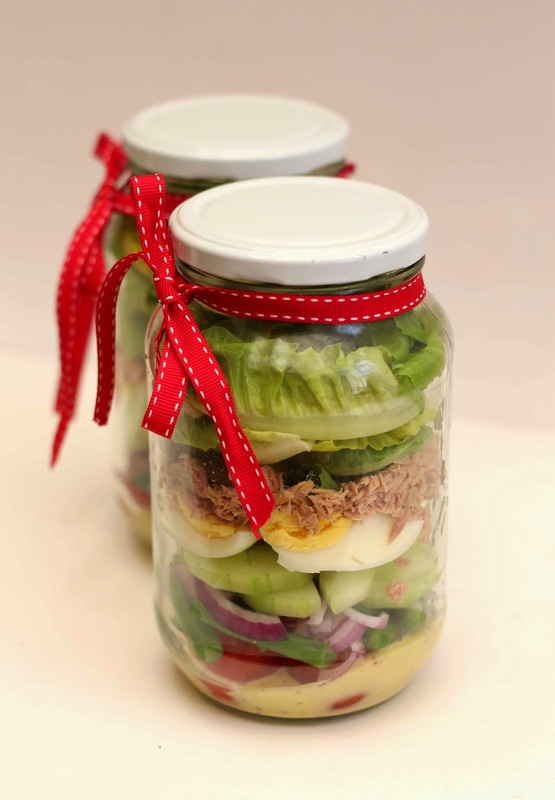 Seal the jars and store in the fridge for up to 4 days.